Update: PlayStation's previously leaked 5.00 software update has arrived and, as expected, it's brought good news for Twitch streamers in the form of 1080p 60fps streaming. There's also some nice additions for fans of eSports, including Team Tournaments. This feature can be found in the events section of your main PS4 menu and allows you to put together teams (up to 60 of them) to compete for prizes and status. At the moment the only games which support Team Tournaments are Uncharted 4, Uncharted: Lost Legacy, World of Tanks and Mantis Burn Racing. However, PlayStation has said more titles will be added soon. As detailed in the leak and beta release, there are also some new follower, messaging, privacy and family safety features to explore. To be honest, though, the most convenient change is the ability to turn off pop up notifications while you're watching video. That's the kind of focus on the entertainment experience we like to see. Though we don’t know when exactly it’ll be it is inevitable that there’s going to be a 5.0 firmware update for the PlayStation 4 and details of what changes it’s going to bring have been leaked online. Eurogamer, which claims to have secured a copy of the release notes, reports that 1080p 60 fps streaming via Twitch will be supported for PS4 Pro owners in this new update. This adds another 1080p exclusive to the Pro, which already supports 1080p Remote and Share Play. Another big change, for all PS4 owners rather than just Pro owners, is that it’ll be possible to follow any user account and not just verified and official accounts. 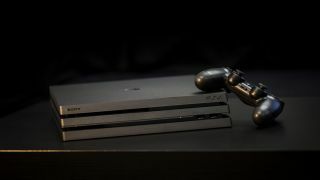 This brings PlayStation’s following system more in line with the Xbox One’s and Sony say the decision has been made to “encourage more sharing of content and more interactions” among users and “boost the viral potential of UGC” for developers. Of course, allowing players to interact with anyone means privacy controls will have to be improved. As a result it’ll be also possible for players to decide if they want anyone to be able to follow them or whether they want the option to only be available to their existing friends. It’ll also be possible to block users entirely. Continuing on the theme of increased security, changes will also be made to the console’s account system. Now if you have sub or child accounts on your main console you’ll be able to create a family account in which adult accounts will be able to act in a parent/guardian role and set parental controls on an account-by-account basis. That means if you have children of a wide range of ages with accounts on the same console you can appropriately tailor their communication, content and spending permissions. A new web application will also be released to manage these family accounts, meaning you won’t have to be on the console itself to access the parental controls and will be able to do so from your PC or smartphone. Finally, there’ll be a multitude of smaller changes such as making system notifications and upload/download statuses visible from the Quick Menu so you don’t need to trek back to your Home screen when you want to check on them. As well as these push notifications for events will be introduced, spectator comments will appear on screen when broadcasting in VR mode and there’ll be support for 7 more languages. At the moment, Sony hasn’t confirmed these details or confirmed an official release date for the 5.0 firmware but Eurogamer reports that it’ll be launched in the near future alongside an overhauled and improved Playstation App.